Purchasing commercial furniture is a major investment & you should be confident your money is well spent. Trust that the furniture you purchase from us will meet your expectations. Producing a superior product is one of our core beliefs. 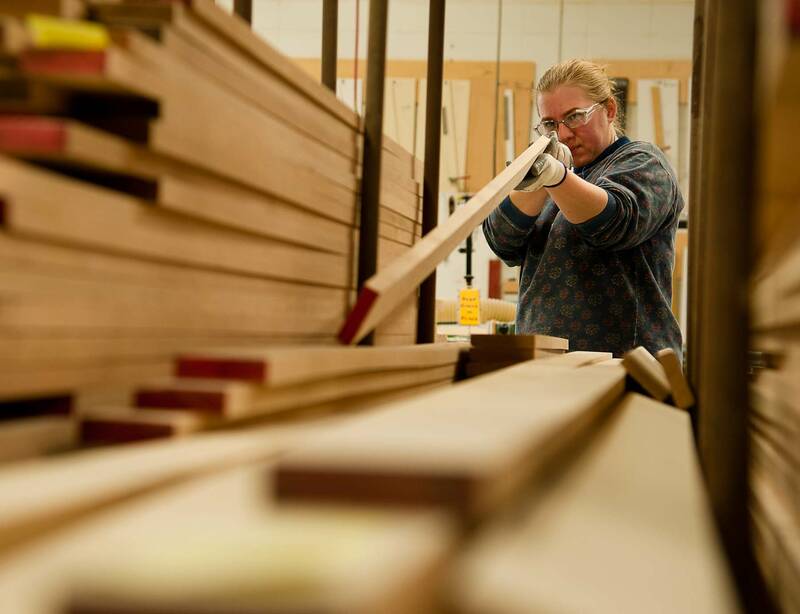 We are selective when choosing our suppliers and use only the highest quality components to manufacture our furniture. Our metal frames are processed through a multiple stage washing system to ensure proper treatment of the metal substrate. After the powder is applied, it is cured in our commercial bake oven. We use commercial grade vinyl and upholstery that are fabricated to withstand the daily rigors of a busy establishment. A durable, polyurethane is used to finish our solid wood tables to increase durability. We only use commercial rated laminates from the top suppliers in the industry to manufacture our laminated products. The core for these products is commercial grade, 45 lb density particle board that is made from 100% recycled materials. 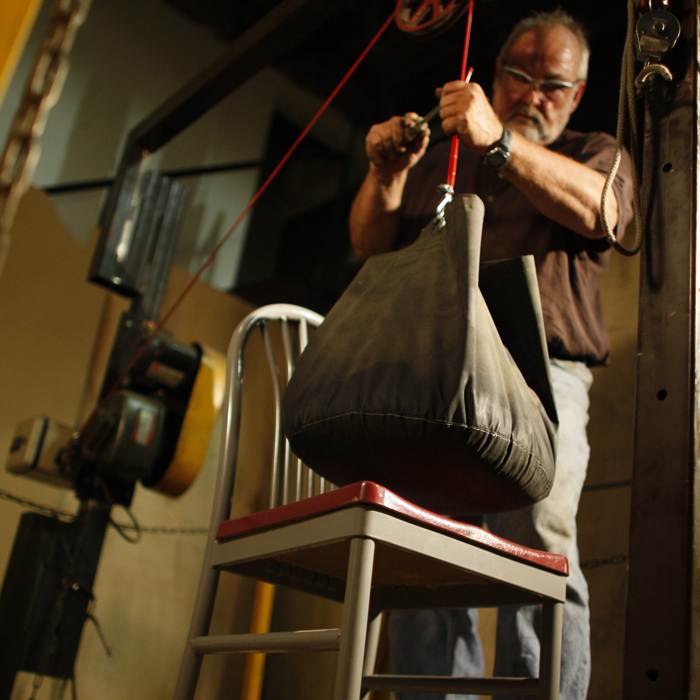 We believe that superior materials are vital in producing a superior product. Product testing is a priority; so much so we have in-house testing equipment and our Engineering team tests our products to validate their durability and safety. 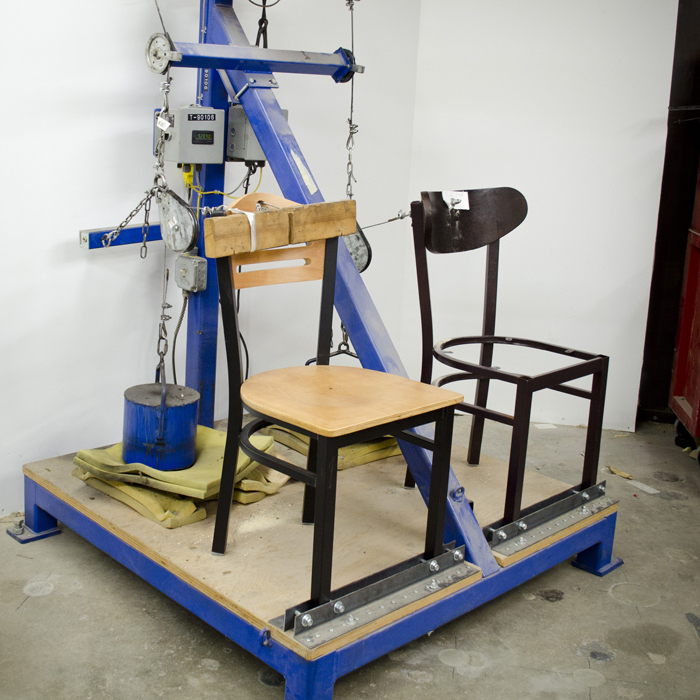 We put our products through a litany of tests using standards derived from widely accepted furniture industry tests that assess the comfort, safety and durability of commercial furniture. 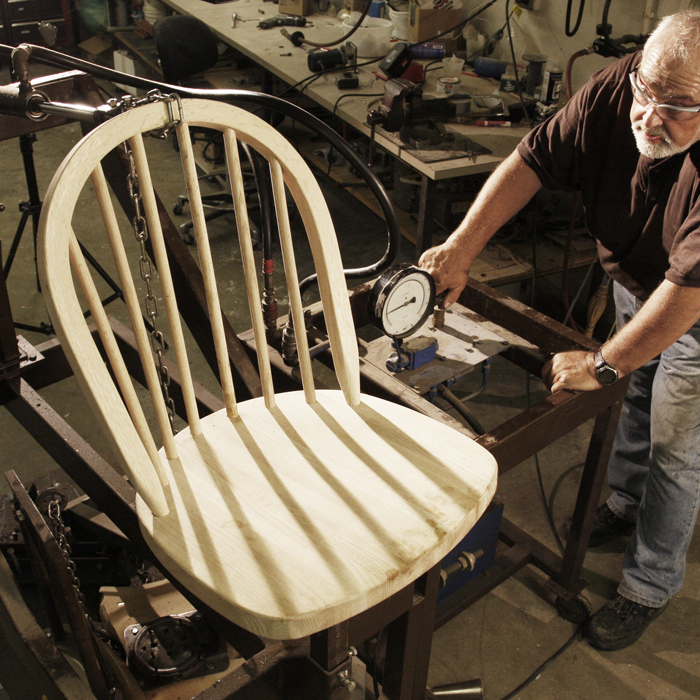 Our products are pulled, scratched, tipped, and bashed to simulate the wear and tear that commercial furniture is subjected to in the field. By testing our products we are confident that we are delivering a quality product. Only products deemed worthy of carrying the Plymold name are offered to our customers. We believe in the durability of our product and back it up with a comprehensive product warranty. The warranty on most items is one (1) year with an extended five (5) year warranty on all metal frames (Contour, Jupiter and Cebra frames), and a five (5) year edge warranty on our exclusive Dur-A-Edge® tables and panels.. See all the details of our warranty here. Warranty information is also available alongside each individual product in our on-line store.